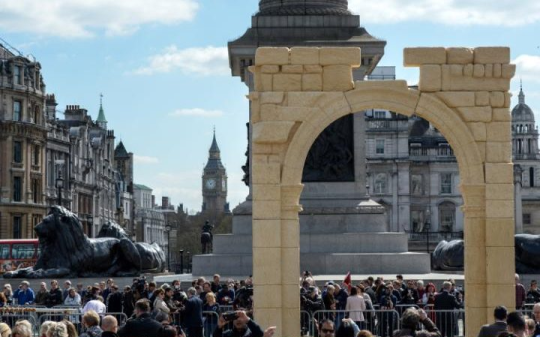 A 2,000-year-old Syrian monument destroyed by Daesh militants has been recreated in London’s Trafalgar Square. 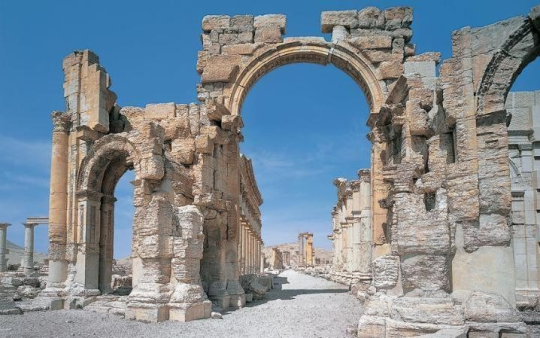 There were lots of media reports that the Arch was not going to be erected, but unfortunately those reports were untrue the forces of evil have indeed Triumphed over the Arch of Triumph and put up in open defiance a replica of an archway that was dedicated to the worship of Baal the ancient Demon god. 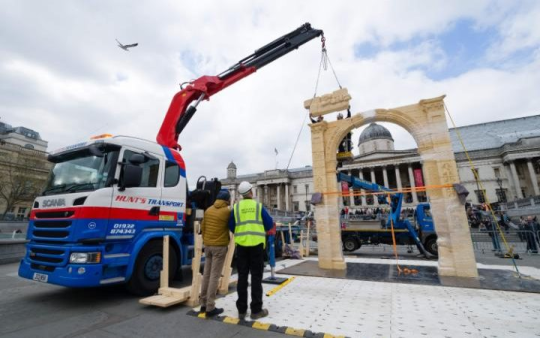 The new two-thirds scale model of the Arch of Triumph has been built in London’s Trafalgar Square by the Institute of Digital Archaeology, reports the BBC. It will travel to New York and Dubai in the coming months, before being sent to Palmyra some time next year. It’s hoped it will be erected close to the site of the original.